In August of last year, Forex Magnates took a look at what looked like the impending arrival of EU regulation towards copy trading. The expectation for formal guidelines was based on copy trading being included in a 2012 Q&A circular from the European Securities and Market Authority (ESMA). Although the organization doesn’t issue laws that go into effect across the EU, among its duties ESMA provides opinion to EU financial regulators in regards to creating guidelines. In the 2012 ESMA circular that dealt with the question of whether trading signals fall under the category of investment management, the answer was that they would be included under MiFID guidelines that would require technology providers and brokers of these products to be licensed. With the publishing of the ESMA circular in 2012, it has led to many firms positioning themselves to be ready in 2013, in the event of copy trading regulations being enacted. Recently, the UK’s Financial Conduct Authority (FCA) issued a letter to brokers providing their opinion on copy trading. 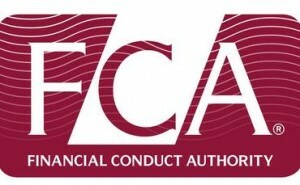 In the letter which was viewed by Forex Magnates, the FCA defined copy trading as “Broadly the service is one whereby a ‘service provider’ operates a website or provides functionality to its own trading platform that gives investors the opportunity to choose to the trade signals of one or more signal providers and authorize the service provider to issue orders on their behalf.” The question the FCA aimed to answer is whether such services and execution are considered “managed investments”, with customers of such trades deemed to have discretionary accounts with their broker. According to the FCA letter, the regulator’s opinion was that the definition provided above “does constitute managing investments” and this would require firms providing such copy trading services to require licenses for such activity. In addition to licensing, becoming an asset manager provider also entails providing the FCA a report and an audit tail of copy trading. Beyond copy trading, the FCA also addressed whether social like features where users are sent trade signals but enter orders themselves is considered ‘advice’. Regarding this, the FCA’s opinion was much more ambiguous, as they didn’t provide a concrete answer as to whether social or signal messages fell under existing rules governing advice. Following the opinion, the next step for firms in their interaction with the regulator is determining what programs do fall under the FCA’s definitions of ‘managing investments’. In conversations Forex Magnates had with UK brokers, which at this point it was forbidden for them to provide comments about the letter or even answer whether they had received it. However, in overall discussion, consensus of opinion is that EU regulators, including the FCA, are going in the direction to apply the above-mentioned ESMA opinion. Among specific questions that are up in the air are: 1) The status of technology providers offering copy trading services for brokers 2) PAMM account managers as users control who they follow and 3) social trade leaders. In regards to asset managers using MAMM technology where the manager controls the size of orders for each account, this activity has been determined to require a licensed manager. Because of this, there has been less questioning of MAMM requirements, with EU brokers as early as four years ago stating to members of Forex Magnates that they were restricting MAMM traders to be regulated. The future of social, signal and PAMM trading though is less clear. While not speaking specifically about the FCA letter, in private discussions with members of brokers, reaction to potential restrictions and requirements of licensing was positive and negative, and ambivalent. Overall, consensus is that in regards to the new technology or financial products, the reality is that regulators will always approach them with a conservative view. While questions abound, one of the few certainties is that more EU brokers will be creating offshore entities to onboard clients from less regulated jurisdictions. The goal of such initiatives will be to put a trusted brand name behind a broker, where a firm will be able to continue to offer to at least a segment of the clientele, copy trading services in a less strict environment. Due to rules on how affiliates are able to be compensated, brokers have also been creating offshore entities as a solution to handle partner requests. In addition to offshore entities, another trend that is expected to take place will be the entrance of asset managers partnering with brokers to become PAMM and social trading leaders. This is part one of a two-part look into copy trading regulation. Following this intro, Forex Magnates is planning on a more in-depth post that will focus on specifc products such as social trading, PAMMs and technology providers, and where they fit in with the question of what is discretionary trading. Copy trading should be applauded. Few investors are willing to swallow their egos and admit they have no ability to look after their own cash. Copy. Trading is a way one can brand ones self as a trading dunce and still play the markets without having to trust the exchange traded world, funds etc whose 2 and 20 kills them faster and legally.